AutomatedBuildings.com Interview - Troy Davis, Sales Director, EnOcean Inc. Troy Davis, Sales Director, EnOcean Inc. Troy Davis has been involved in sustainable buildings and controls for almost 20 years. This continues through his key position as sales director of EnOcean North America, a world leader in energy harvesting wireless technology, working together with manufacturers in North America to create advancements in a large number of products, eliminating hundreds of thousands of batteries being consumed. Troy has spoken on self-powered sensing and controls at AIA, AHR Expo, Hi-Tech, APMA, USGBC Greenbuild, Lightfair international, EnOcean Alliance events; speaking in Europe, and North America. Troy is an annual participant in wireless industry roundtable events with WiFi, EnOcean, Bluetooth®, Zigbee and other wireless protocols. 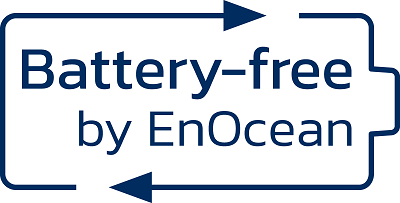 “Battery-free by EnOcean” seal. What’s it all about? Sinclair: EnOcean has recently introduced the “Battery-free by EnOcean” seal. What’s it all about? Davis: We introduced the new "Battery-free by EnOcean" seal to highlight maintenance-free and flexible switch solutions that do not require any batteries or wires. Product manufacturers can use the new seal to promote their battery-free, wireless switches integrating EnOcean’s energy harvesting technology independently of the wireless standard in use, e.g., EnOcean, Bluetooth® or Zigbee. The seal shows at a glance that a product is 100% battery-free – you never have to charge it or change a battery. It solely works with the energy of a finger press. If a product meets these necessary criteria, the manufacturer can use our energy harvesting seal as an identifying mark on the product packaging, in marketing or technical materials as well as on the product's website. Sinclair: What’s the seal’s purpose? Davis: The "Battery-free by EnOcean" seal enables end users, for example, to determine just from the packaging that the switch within does not require any batteries and therefore offers a high degree of flexibility, comfort, and sustainability. Consumers can make a dedicated decision to buy an environmentally friendly and battery-free product. The seal shows at a glance the switch’s benefits of zero maintenance and a high degree of flexibility and comfort. In addition, consumers can actively decide to opt for a battery-free wireless switch to help to reduce toxic battery waste. The seal is intended to raise consumer awareness of the benefits of switches based on the EnOcean technology, which gains their energy from motion solely. At the same time, with this unique seal, EnOcean strengthens its market position as the leading global provider of energy harvesting wireless sensor technology. Sinclair: Could you briefly explain EnOcean’s energy harvesting technology? Davis: Our energy harvesting technology enables self-powered wireless devices. For this, we use different energy sources of the surrounding environment, including kinetic energy of a movement, solar-power or temperature differences. The tiny components that enable this energy harvesting are an electromechanical energy converter for switch solutions, tiny solar cells for different kind of sensors and a Peltier element for heating valves, for example. All of these harvesters, together with optimized energy management generate, sufficient energy to power communication via a variety of open wireless standards such as EnOcean, Bluetooth® and Zigbee. The self-powered solutions are used in building automation, smart homes, LED light control systems as well as industrial applications. In addition, they play a key role in the digital networking of buildings and their environment, the so-called Internet of Things. Sinclair: What’s the role of self-powered solutions in the IoT? Davis: Self-powered sensors are the eyes and ears of a building that already enable classic building automation systems to control lighting, shading and room climate of a building. The Internet of Things has now facilitated more efficient or even entirely new services through networking with other disciplines, such as multimedia, household appliances, alarm systems, elevators and the parking area belonging to the building, to mention only a few. Each of these disciplines is getting smarter all the time and thus provides an entirely new dimension in intelligent control. The IoT's enormous potential lies in its interdisciplinary use of sensors. For example, a motion sensor can control the lights, control the room climate according to demand in order to save energy and also ensure security within the building. The same is true of window contacts. The optimum approach is to combine the motion sensor with window contacts, which protect against intruders and also prevent false alarms due to open windows. If windows are opened, or if the room is unoccupied, the heat is turned down, and the overall system is optimized in combination with algorithms that learn and suitably map user behavior. In connection with weather data on the Internet, a warning of imminent rain can be given in good time when windows are open. For this intelligence, reliable data of as many points in the building as possible is needed. Sensors provide this data and are required to be highly flexible to position to provide the right information at the right time. You can’t put thousands of sensors in a building with wires or powered by batteries, which cause unpredictable maintenance work resulting in unplanned costs of time, money and frustration. An occupant of the space needs to report the dead switch, a technician then travels to the building and replaces the battery in the switch, fills out the invoice for the time, then the battery is (hopefully) recycled, which adds another cost and time. And what’s to say the switch two rooms down won’t die next week and the process repeats? IoT demands self-powered wireless sensors and switches. Sinclair: What do you see as a trend application for IoT connectivity in buildings? Davis: In my opinion, one of the most exciting IoT trends is lighting control. The introduction of LED technology together with IoT connectivity has brought about an enormous transformation in this area. Thus, lighting systems become the data backbone for intelligent control in a building. In such a system, wireless self-powered switches allow an intuitive and easy direct control of the lighting for all users without having access to the network via their phone. Adding wireless sensors allow a more complex logic, delivering data on room occupancy and light intensity, for example. The same data can be used to adapt the lighting and the heating or cooling to the actual demand and optimize room utilization at the same time. This is only one example of the great abilities of intelligent data usage in the IoT. The data can be delivered by self-powered wireless sensors that can be easily installed, thanks to their flexibility, even or especially in retrofit buildings which make up a huge majority of the total market.